In 2007, the idea of NTB professor of electrical engineering Roland Rebsamen evolved into a successful company with an international reach. His goal was the development and production of easy-to-install electrostatic precipitators for chimneys which provide a high degree of separation of particulate matter. 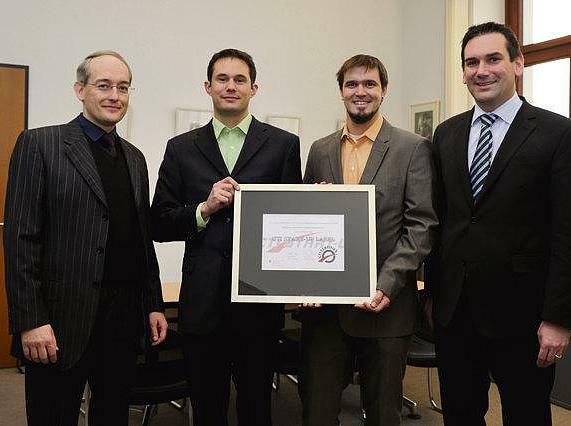 Roland Rebsamen implemented the idea with his co-founders Reto Keller (also NTB graduate and former student of Roland Rebsamen) and the business economist Markus Weidmann. Their participation in a business plan competition in 2007 attracted much attention for the business idea and the subsequent award of the young entrepreneur price. The commercial launch of the first OekoTube particulate separator up to 40 kW followed in 2008. In 2010, the optimized version of the OekoTube electrostatic precipitator followed, which substantially simplified the assembly and manual cleaning of the filter. The OekoTube is the first particulate matter separator in Switzerland to receive a registration number from the Association of Cantonal Fire Insurances. Since 2011, OekoSolve has also been developing and producing larger systems and has been steadily expanding its range of services. At the end of 2012, the FilterBox particle separator was optimized to achieve a higher separation. The OekoRona filter, which has been available on the market since 2015, also operates on the electrostatic principle. The accumulated particulate matter falls directly into an ash drawer or is pressed into a container. Newer developments of the OekoSolve AG are the OekoTube-Inside, which unlike the OekoTube is not installed on the smoke stack on the roof, but instead in the boiler room. OekoRona M is a next generation development of the OekoRona for automatic wood boilers between 200 kW and 3 MW. The wood chip dryer Neviro entered the market in 2017 and is designed for wet wood chips. OekoSolve AG has become an internationally established company with a healthy corporate growth with currently over 35 employees.